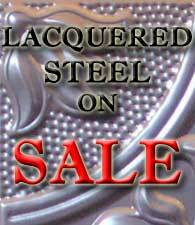 Experience the sophistication of one of North Americas' most exquisite and intricate architectural products with your very own tin ceiling. 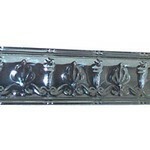 Decorative embossed tin ceilings have been around since the late 1800's and we are proud to offer our line of tin ceilings from the original cast iron molds of yesteryear. 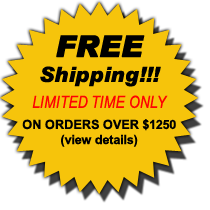 These fireproof, durable and lightweight tin ceilings are appealing to home and business owners alike and are available in various decorative patterns and finishes. 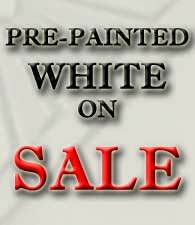 Exclusive to Classic Ceilings is our multi-step handcrafted true antique finished tin ceilings, available for all embossed decorative tin ceiling tiles. 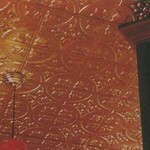 Below you will find tin ceiling panels categorized by pattern repeats: 6 inch decorative tin ceiling patterns, 12 inch decorative tin ceiling patterns, 24 inch decorative tin ceiling patterns, and our miscellaneous category which contains filler panel tin ceilings and tin ceiling pattern repeats of less then six inch. 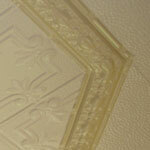 All decorative embossed tin ceiling panels are available in all of our finishes: Regular tin (unfinished steel), lacquered tin (clear coated steel), perforated steel (tin ceilings with acoustic properties), pre-painted white, plated copper, brass and chrome, antique plated copper, brass and pewter and custom painted powder coated tin ceiling tiles. 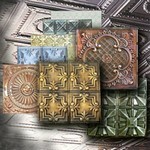 Our six inch decorative embossed tin ceiling design patterns are great for backsplashes and small areas. 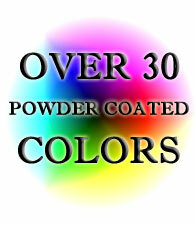 They are also one of the most popular and flexible designs. 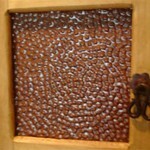 Tin ceiling tile designs like 208 and 209 are especially desirable because they are perfect for making cutouts to accommodate light fixtures. 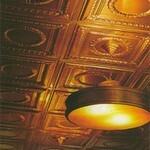 Our coffered ceiling panels are 1-½ inch recessed tin ceiling tiles that create a breathtaking dimensional ceiling. 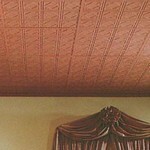 The patterns are available in different sizes to accommodate various ceiling designs and special projects. 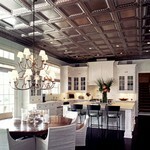 These recessed coffered tin ceiling tiles are very popular for creative layouts due to their ability to mix and match. 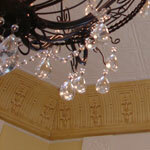 Recessed coffered ceiling tiles have been used from restaurants to entertainment rooms - no matter the project - they will always create a one of a kind setting. 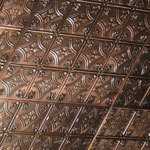 Our reveal tin ceiling tiles provides a dynamic 3-dimensional perspective dropping the panels below the grid. The reveal ceiling panels project outward from the T-Bar with a 3/8" reveal (depth) edge and may be used with any standard exposed 15/16" T-Bar suspension system. 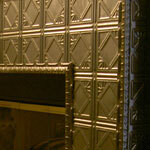 Metal tin ceiling backsplashes are perfect for keeping the kitchen looking clean, new, and even stylish. A kitchen backsplash not only keeps the area behind the stove and sink safe from moisture and grease but can add class and elegance to your kitchen. You can use backsplashes to compliment the kitchen by creating an exquisite contrasting transition between countertops and cabinets. 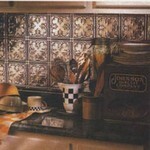 Backsplashes beautifully compliment the kitchen through the contrast of a wooden cabinet versus a brass backsplash or a granite countertop versus the embossed look of a copper backsplash or tin backsplash. 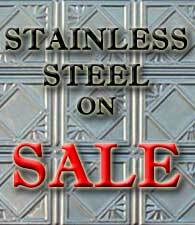 For kitchen backsplashes we recommend our stainless steel finish for durability and ease of maintenance. 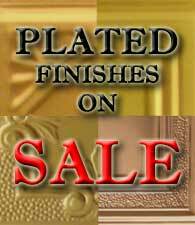 However, you may purchase any of the other finishes through our decorative tin ceiling pattern categories.